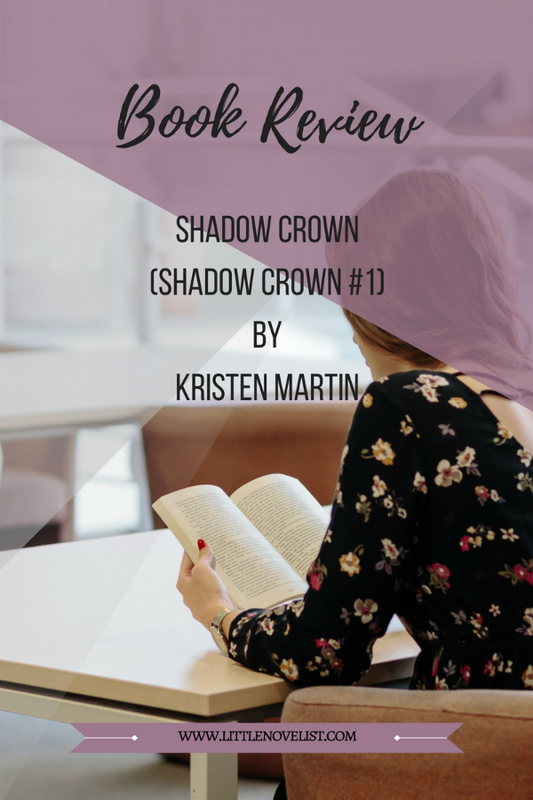 I have been following Kristen Martin for about two years now, and I love seeing her journey through each book. As much as I would love to have more information on her process - I am currently saving up for her Valiance Programme - I am content with reading the incredible worlds that she creates in her novels. For most people, the act of killing is intangible. Unfathomable. But not for seventeen-year-old Arden Eliri. Having been involved in Cruex assassination attempts as a mere child, killing is a natural disposition for her. Growing up without parents, in a castle ruled by an iron-fisted king, is the furthest thing from a fairy tale, as is being forced into the Cruex, the king’s group of hand-selected assassins. But with each passing year, she comes to enjoy the act of killing more and more. Kill or be killed—she chooses the former. A decade ago, King Darius Tymond banished The Caldari—those who practice illusié, or old magick—from Trendalath Kingdom, ensuring that no Caldari will ever step foot in his kingdom again. But Arden discovers otherwise after a dual-assigned mission goes horribly awry. Even more startling, she discovers that she may have more in common with the Caldari than she’s been led to believe. Arden wants to trust that King Tymond’s intentions are pure, but as their pasts collide in unexpected ways, the quicker she realizes the consequences and dangers of his reign. But Arden is also hiding something—something that threatens her very existence—and she’ll have to face her inner darkness and conquer it before it destroys her . . . and the kingdom she’s come to call her home. As a subscriber to Kristen's newsletter, I saw this cover for this book before it was officially released by Kristen and I absolutely adored it. It's very eye-catching and instantly drew me in to read the blurb. The blurb has so much information but it still gives you enough mystery to need to read the book. I instantly pre-ordered it (as soon as the UK version was available). The world building in the book was really good. It was easy to envision the world and gave a clear image of the places the characters visited. I did find the pacing a little slow in the beginning but after the first few chapters it did pick up and made for a great read. I did have a lot of unanswered questions, and there were a few points where I got a little confused as to what was happening, but as it's a series I am assuming there will be more revelations in the next coming books. I did enjoy the multiple POV's (i do this in my Collective Series) although the jump between first and third person took a while to get used too. Once I was in the flow of the story it didn't really matter that much though. Overall this was an enjoyable book which I will give 3.5/4 starts too. Excited for the next instalment and I'm interested to see how the story develops.